Battle Ground Lake State Park campground has 46 single-family campsites and is located next to Battle Ground Lake. There are 6 sites with water & electric, 25 standard sites, and 15 primitive (walk-in / tent only) sites. Cabins (4), equestrian (Group camp G-2) and group camping (Group camp G-1) are also available. The primitive campsite require campers to hike .25 to .5 mile from the parking lot. Campground amenities include drinking water, flush toilets, hot showers ($) and a dump station. There’s also a park store, picnic / day use area, watercraft launch (non-motorized), horseshoe pits, and various sports fields. Campsites can accommodate tents, trailers and RVs (up to 35 feet). Each campsite also has a table, fire ring and grate. The park is heavily forested and closet to the cities of Vancouver and Portland. 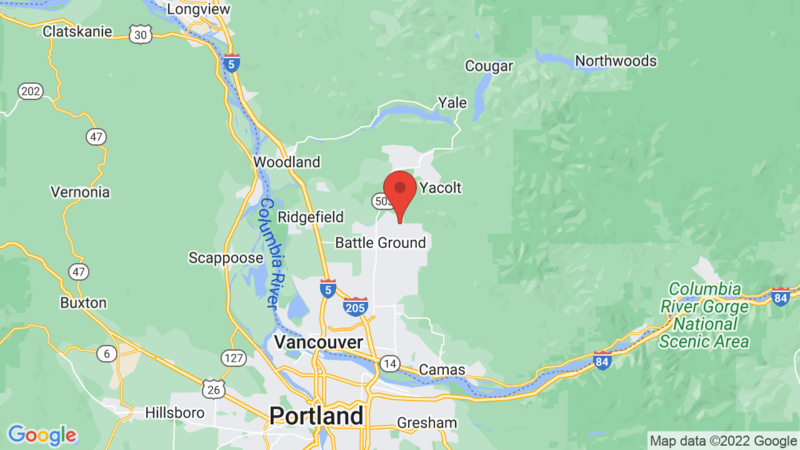 It includes 280 acres of beautiful, forested land in the foothills of the Cascade Mountains. It’s a popular place for fishing, canoeing, kayaking, swimming, hiking, horseback riding, biking, picnicking and wildlife viewing. There’s also lots of sports related activities including badminton, baseball, horseshoes, softball and volleyball. You may also be interested in Paradise Point State Park. 1, 4, 7, 9, 16, 23, 27, 31, 37, 44. Visted Battle Ground Lake State Park Campground lately? We'd love to hear about your adventure. Did you find us useful? Did we forget something? 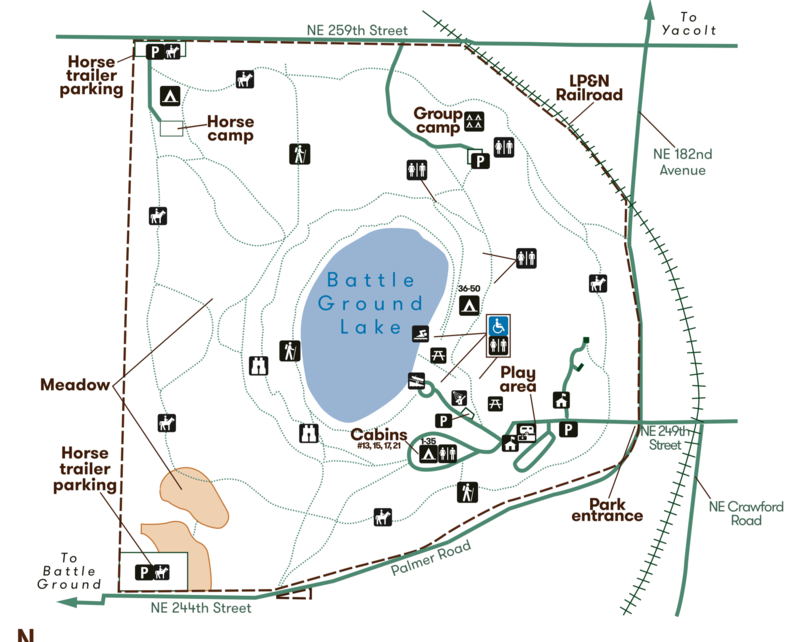 Anything our community should know before heading out to Battle Ground Lake State Park?